There is a plethora of options to choose from when deciding what paint to use for your home’s exterior, and many people don’t know exactly what they should be looking for. If you are in a similar situation, here are a few things to help you choose a high-quality exterior paint. The first things you need to decide is what type of paint you are going to use for your project. Paint can be divided into two broad categories – water-based and oil-based. If you are painting your home’s exterior, water-based is almost always going to be the best option. Water-based paints dry extremely quickly and provide exceptional coverage. However, oil-based paints can do a much better job of preventing wood walls from bleeding and metal walls from rusting. Before making your final decision, you should contact a professional painting company to help you decide which is best for your situation. Next, you should consider what type of finish you want. Generally, you will be able to choose between matte, satin, and gloss. This decision is primarily based on preference; however, you should know that some finishes are better at hiding imperfections than others. Additionally, some finishes are going to be easier to clean. Lastly, and perhaps most importantly, you need to decide on which color to use. Your home’s exterior color has a significant impact on your home’s curbside appeal, so it is important to choose the best color possible. 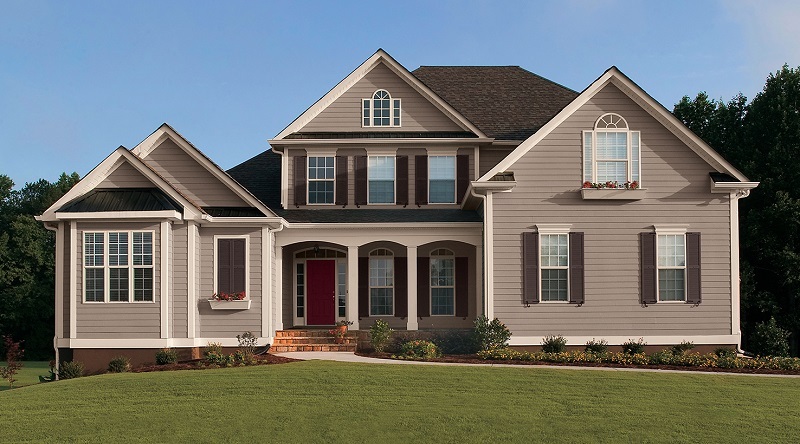 Typically, if you want to extend the lifespan of your home’s exterior color, you should choose earth-tones and neutral colors such as brown or tan. On the other hand, darker shades of blue, red, green, or yellow tend to fade extremely fast compared to more neutral colors. If you are set on using one of these colors just remember that they will take more effort to maintain. For additional tips regarding painting your home’s exterior, feel free to contact us at Noel Painting.